If you watch my YouTube you will know that "Kanadajin3 became Muslim". Some people think this means that my channel videos will start to change to Muslim only themes, and the whole "Japan" theme will die off.. However, It does mean that yes, I will talk about Islam when it is relevant to Japan. 5 months ago I reverted. Educational note: the word revert is used rather than convert because all people are born Muslim, but they are influenced by another culture or religion or teaching, so when they become Muslim later in life, its going BACK to Islam. That is what we believe. Since reverting I have went through many changes in my life, most you guys will never notice because you didn't know about me in the first place. The obvious that people do notice is that I no longer eat pork, don't drink alcohol, pray, go to mosques, wear hijab and don't show body. I deleted all my old videos without Hijab so I could reupload them edited out and "halal". Some people were shocked and upset at this choice but I think you should respect it really....my body I don't want to show it. 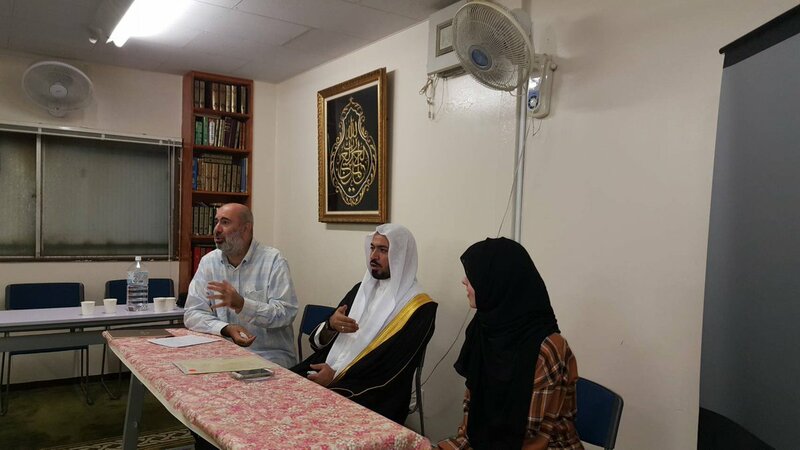 A few months ago , I took Shahada at OTSUKA mosque here in Tokyo in front of about 25 sisters and a famous Sheikh from Saudi Arabia. (Sheikh is like the priest in Islam for those who don't know). Shahada is when you declare that you are Muslim, it is what officially makes you one. People can do it at home but its more formal if you do in mosque. You get a certificate that says that you are Muslim when you do this and you can use it to go to Muslim countries for religious purposes and get a visa. Now I know a lot of people might be wondering. HOW DO JAPANESE TREAT ME NOW? I literally feel no different. I wear Hijab daily and I feel no different from before . PS : I hope we will be able to talk one day or even meet if I can come ! I have a question, and please don't take it harshly I don't mean it in any way. I don't know anything about the Muslims or being one, so my question is this: why do Muslims believe that we are all born Muslim? To me it'd be like Christians saying everyone is born Christian or Athiest saying everyone is born Athiest. If you could help me understand? The Prophet Muhammad said, "No babe is born but upon Fitra (as a Muslim). It is his parents who make him a Jew or a Christian or a Polytheist." It's because we believe that all people are born with the "instinct" or natural believe that there is one true "creator" or god. Just like how a baby knows how cry when sad or smile when he us happy. But when they grow, they get affected by their parents and other ideas. In Islam if someone didn't get to hear the true message of islam or didn't even know about it, but he believes there is a god, a god who is just. then he is a Muslim or a "believer". I’m glad you’re being accepted as Muslim so easily there. Other countries could learn a lot from this. 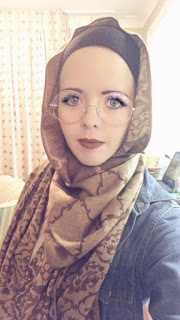 Well, maybe she is accepted by her friends and the daily life society but getting a job at a Japanese company or anything else "official" is not so easygoing in Japan when you are somewhat "different"
Hello my name is yasmin and i am muslim and i considering moving to japan but i am not sure where to start. Could you give me some advice? Why I quit make up?